Windows Server 2016 training at Interface Technical Training provides students with the most in-depth, hands-on learning experience available. Students can attend their instructor-led training course at our 12-room training center in Phoenix, Arizona or can attend the same live class online with our exclusive RemoteLive™ training solution. If you need to update your existing Windows Server 2008R2 or Windows Server 2012R2, our MOC 10983 Upgrading Skills class walks students through the latest features and configuration of Server 2016 including installation, configuration and management of Windows Nano Server, Remote Desktop Services , Dynamic Access Control (DAC) and Hyper-V solutions. For IT Professionals ready to master the storage and Compute technologies in Windows Server 2016, our MOC 20740 training explores the robust enterprise storage options and migrations strategies for including partitioning dynamic and virtual disks utilizing Hyper-V and Containers as well as Failover clustering and Network Load Balancing. In our Server 2016 Identity class (MOC 20742), you will learn Active Directory Domain Services (AD DS) and experience complex AD DS environments while managing Group Policy Objects (GPOs) and Windows Server 2016’s ability to interface between AD DS and Azure AD. You will also learn how to monitor, troubleshoot and establish business continuity for AD DS Services in this 5-day course. For those pursuing or maintaining their Windows Server Certification Track, Interface Technical Training offers the 5-day Microsoft Certified Solutions Associate (MCSA) Windows Server 2016 upgrade course (MOC 20743). 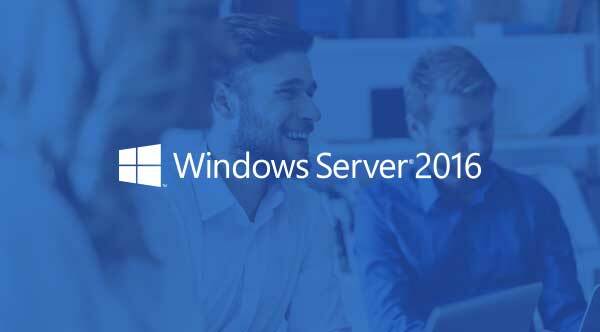 This class is for existing Windows Server IT Professionals who need to update their skillset and achieve their MCSA Certification from Windows Server 2008R2 or Windows Server 2012R2 to Windows Server 2016. Windows Server 2016 classes at Interface Technical Training qualify for Microsoft Software Assurance Vouchers (SAV).